Rep. Grier Martin (D-Wake) and Rep. Skip Stam (R-Wake) joined a panel of professors at N.C. State’s annual Holtzman Public Policy Forum. 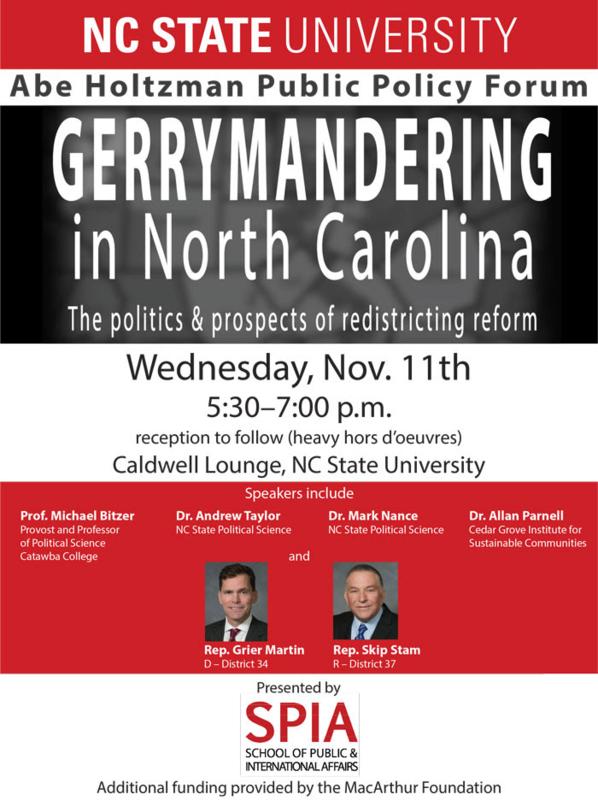 The topic of this year’s event was redistricting reform. Martin and Stam introduced legislation in the House of Representatives to reform the way legislative and congressional districts are drawn. Read more about the forum at the NCSU Technician. This entry was posted in Feature and tagged reform. Bookmark the permalink. Post a comment or leave a trackback: Trackback URL.